You may soon be able to experience your Aunt Gertrude’s depressing Facebook presence through the lens of an Oculus Rift. On Tuesday afternoon, Facebook’s head of product Chris Cox confirmed that the company is currently working on apps that would be compatible with virtual-reality headsets, according to a report from Re/code. Though Cox didn’t offer many details of these apps’ capabilities, he hinted at the experiences they could potentially communicate. 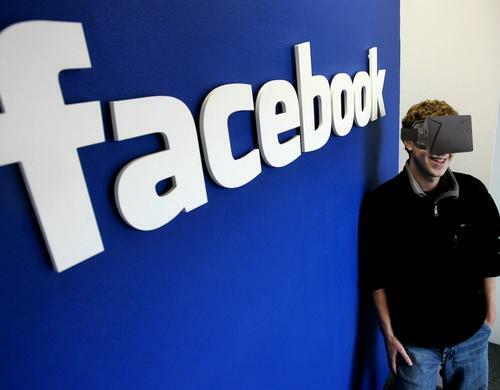 Facebook surprised the tech world last March when it bought virtual reality headset company Oculus for $2 billion. The company, which produces the Oculus Rift, has yet to release its headsets for public consumption. Currently a developer’s kit costs $350 — a sum that we shouldn’t assume all of Facebook’s 1.23 billion monthly active users could afford. Clearly the company still needs to work the details out. All I ask is that they steer clear of a virtual reality Poke app. The last thing I want is a three-dimensional experience of the creepiest action that exists on the Internet.